Who doesn’t love long, warm and lazy summer days? You can just sit back and relax outside, enjoying the weather and entertaining friends in your garden. If you are looking to spruce up your garden and wow your friends during summer or even colder months, these three sets of stylish, practical and vintage garden furniture might just be what you need. The Rio dining sets in outdoor wicker is growing in popularity by the day thanks to its attractive, classic vintage-look. It is made from gorgeous eucalyptus wood that harmonises perfectly with nature’s beauty and adapts well to a contemporary or traditional look. The set makes for an attractive addition to any garden. Choose your preferred size of Rio outdoor wicker set from two-seater to eight in either rectangle or round shape, depending on your garden space. The Rio table comes with a glass top that makes cleaning easy and chairs are nice and comfortable with natural cushions included. The set is durable and gives excellent value. 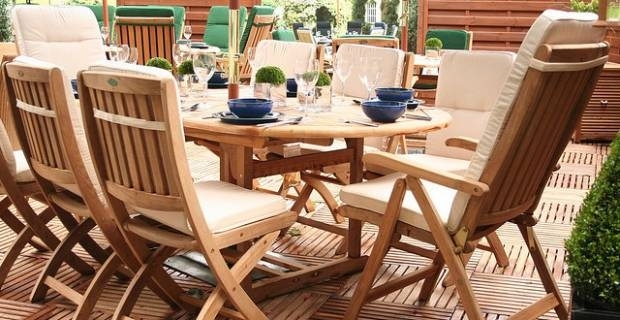 The Banbury teak dining set is an impressive, vintage garden furniture piece you can truly relax in. It comprises of two reclining chairs, six folding dining armchairs, seat cushions available in a range of colours, an elliptical oval table, crank parasol and granite base. Made from teak wood with stainless steel fittings and fixtures, the vintage Banbury teak dining set guarantees you won’t have to sacrifice style for comfort and durability ever again. Teak is hard, strong, yellowish-brown wood that has got high levels of natural oils. It lasts a long time outdoors. Maintain the beautiful, original vintage colour of your Banbury teak dining set by cleaning and treating the set regular with a special teak protector. Teak protector products are available in leading garden furniture stores. If you are looking for practical, stylish and comfortable vintage garden furniture with metal frame, the classic deep-seating outdoor lounge furniture is your kind of set. The set comprises of an aluminum framed Roma deep-seating outdoor armchair that is powder-coated with either crystal white or gunmetal finish and cushioned with a choice of sumptuous deep-seating cushions in either charcoal or canvas. Complimenting crystal white occasional tables have a white satin gloss top, side tables a slate satin top and small scatter cushions come in a range of vibrant, co-ordinating colours. Roma sets represent excellent value for both domestic and commercial garden projects and can truly breathe new life into your garden. 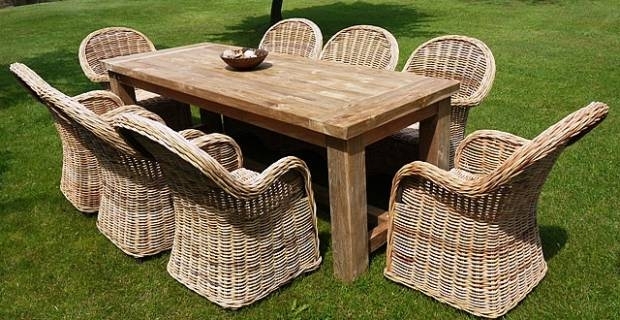 Buy vintage garden furniture at competitive prices from leading garden furniture stores online, such as shopwiki.co.uk, holloways.co.uk and even amazon.co.uk.